CWP Zig-Zag Servo Press Feeds offer dramatic productivity advantages in stagger feeding. Stagger feeding parts in a Zig-Zag Press Feed System can boost productivity and provide up to 22 % material savings. CWP Zig-Zag Servo Feed controls are operator friendly and automatically calculate and set up all machine parameters quickly and accurately. Servomax Zig-Zag Servo Feeds provide fast, easy set-up in a single or dual axis format. The control automatically calculates the optimum movement in each axis and the feed can simultaneously or sequentially deliver the material in X-Y movement. 2 or 3 out pattern capability is standard with up to 6 out pattern optional. The Zig Zag or Stagger Servofeed is driven by an AC Servomotor through a precision gear train while the lateral travel of the feed and material is powered by a combination AC Servomotor and linear ball screw. The ServoMatic and ServoMax Servo Press Feeds can be press mounted or Cabinet mounted. The SMX H and H6 Servo Roll Feeds are cabinet mounted. 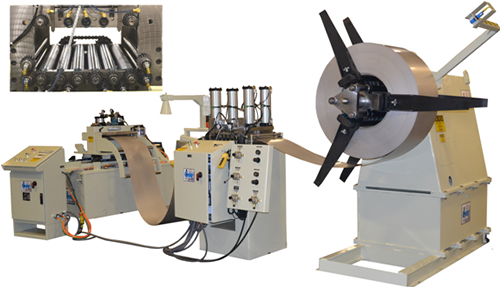 18” Wide by 15,000lb Zig-Zag servo press feed system for critical finish materials capable of single, 2 or 3 out pattern. 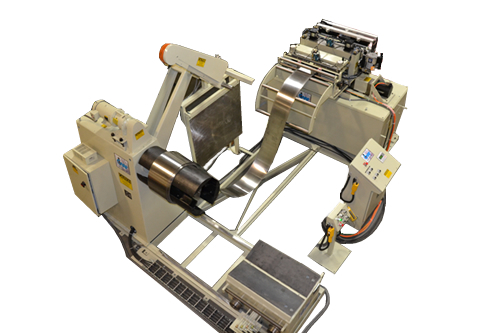 The Precision Coil Straightener has high lift capability for easy access to clean rolls while the Uncoiler is equipped with an automatic break tension controller. 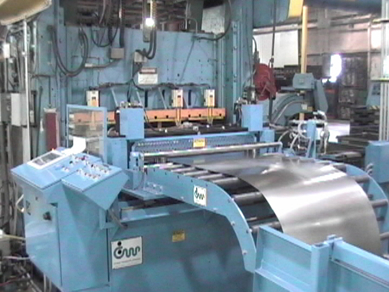 30” Wide by 10,000lb Zig-Zag Servo Press Feed System capable of operating in a single, 2 or 3 out Stagger Feed pattern. The Zig Zag Servo Feed is equipped with a Pull-through Straightener, automatic lubrication system and a material roller lubricator. The Zig Zag Servo Feed with Pull-thru Straightener help to conserve floor space making this Press Feed System a very Compact Coil Feed Line. 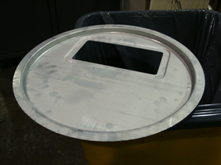 50” Zig-Zag Servo Roll Feed stagger feeding tops and bottoms for water heaters. 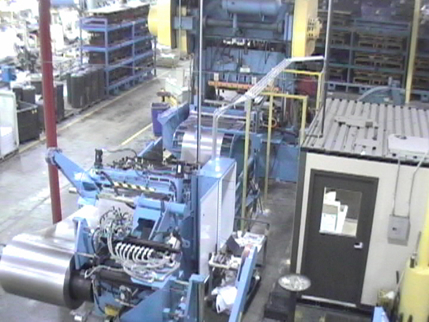 50" Zig-Zag Press feed line capable of processing materials to .125" thickness. The Press Feed System incorporates a Double Uncoiler, Precision Coil Straightener and a Zig-Zag Srevofeed capable of stagger feeding a 2 or 3 out pattern.